Judy Laub is a brilliant metalsmith here in Bellingham. I recently had the honor of creating a website for her studio, Ponds Edge Studios, www.pondsedgestudios.com. Working with someone whose work is so stunning makes my job easy. Judy makes fine jewelry and other wearable works of art, as well as repousse handcrafted items for display. More on repousse in a bit. Judy incorporates natural materials into her jewelry and metalwork, including shells, wood, fossils, and metal. Each piece is handcrafted, and truly a wearable work of art. 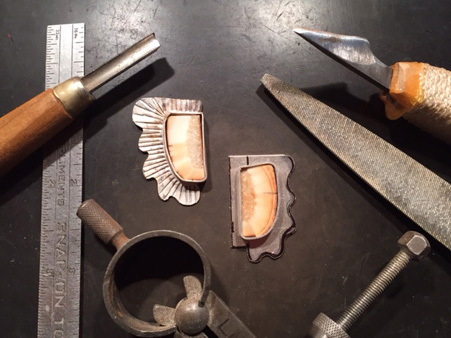 Her new medium, repousse, is a method that goes back for centuries. 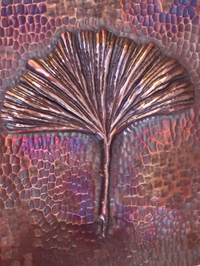 French for “push out”, repousse involves working with both sides of a piece of metal to create relief, and then finishing the outer side to create a final artistic expression. She can explain it better than I can. Better yet, look at the repousse page to see how it’s done. Her photographs are magical (she takes them all herself). See them for yourself on her website. It was truly fun to work with her.